My 2016? Actually, I have just recently realized we’re way into 2017. However, 2016 has been a year of significant change for me and 2017 will be again as well, at least to some degree. Just having come home from JavaLand 2017 I thought writing a wrap-up is good idea. It all started with the feeling, that it would be time to leave my employer at the time early in 2016. Coincidentally a friend of mine talked about how they urgently needed more IT personnel in her department. It was the department responsible for developing Mobile Online Services for Volkswagen. She hooked me up with her superior aaaaaaaaand long story short, I got the job and started it on October. It was indeed a long story, it took quite a while to set up the contract. My feelings on leaving my job as a software developer in a very small company were ambivalent. It was not that I totally disliked it, on the contrary, it had some aspects I really enjoyed. On the other hand there was something amiss, though. Viewed in retrospect, I had no idea what I was going into when I switched my job to Volkswagen. My new job at Volkswagen was exciting because the automotive as well as the corporate world were new shores for me. I was assigned to the Security Team for Mobile Online Services and learned so much about security and crypto. I liked it and was thrilled. However, at some point, not too far into the job I realized the work was a lot about politics and processes, thus Power Point and I had become pretty intimate. Frankly, it got so initimate that I started to miss even eclipse, can you imagine that ;-) ? However, I have been blessed to be working with an absolutely amazing team. I met so many fantastic people in the Mobile Online Services department, therefore one crying eye will be looking back my time here. 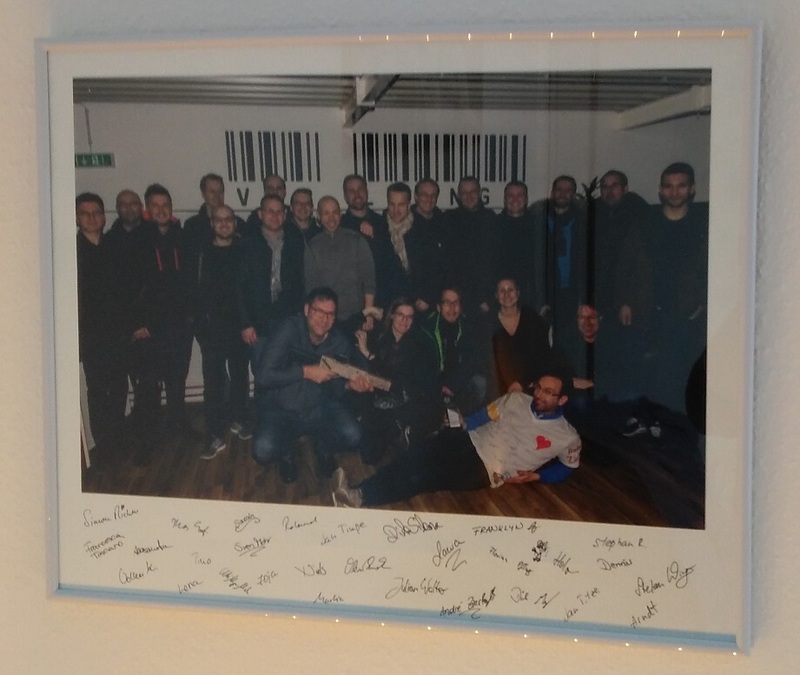 Thanks for the picture and I will miss you, EECN! Even though the whole process of changing my job took a lot of my capacity, which also is the reason I have not written any articles on my blog, I was engaged in some community activity in 2016, which I am proud of. Also, my journey in fitness has reached a new height. 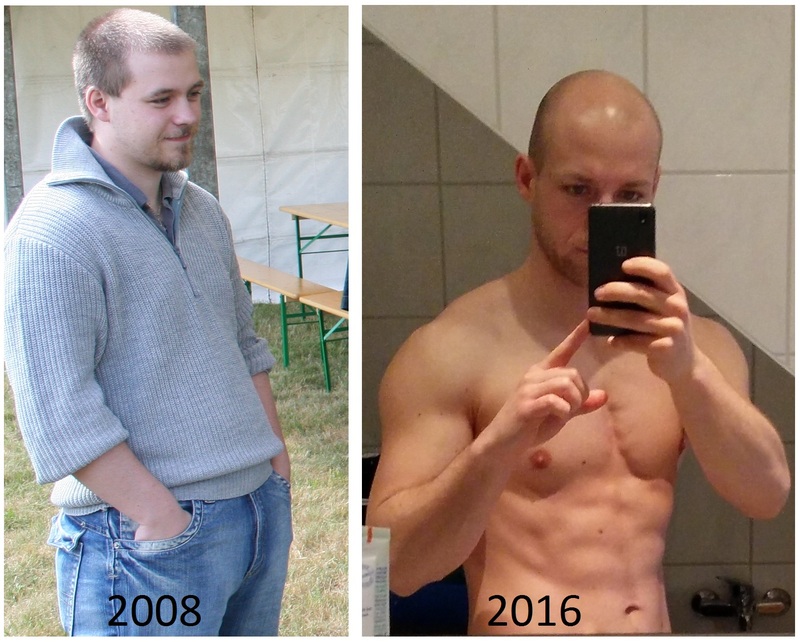 I used spring and summer for intense Freeletics and switched to the Buff Dude’s 12 Week Plan in August. I reached the shape of my life, with such a contrast to just some years back. Moreover, the Buff Dudes have a YouTube channel I can absolutely recommend. They have tutorials for nearly every exersice, for protein-rich recipes and a lot more, plus they are actually entertaining. I have also started listening to a lot of audio books. I came to realize that listening to audio books is perfectly suited for light tasks, e. g. doing housework and commuting. While it is true that I didn’t get that much detail from a book when listening to it in comparison to really studying on it, however it exposed me a lot of different ideas and concepts. Some of which are already marked to be re-read or looked into in detail. Especially Thinking Fast and Slow completely changed my view on decision making and perception. I’m planning on to cover Hindsight Bias and Availability Bias a separate article.